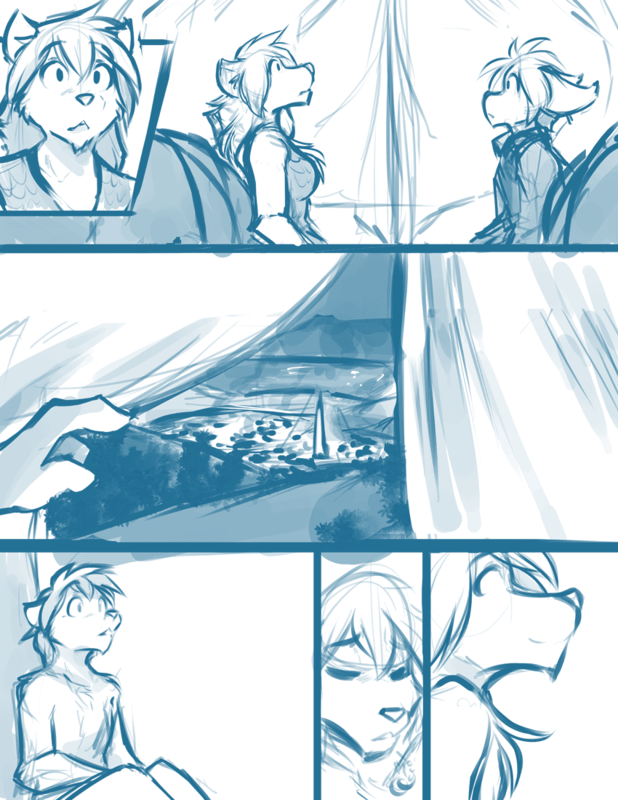 954: Miscommunication - Twokinds - 15 Years on the Net! Keith: Natani? What is it? Natani: I… I just heard Zen! He’s still blocked for some reason, but maybe… Zen? Natani: (thoughts) Zen, if you can hear me, do not go to Edinmire! Do not go! It’s not safe for wolves right now. I mean, more so than usual. I’m not there, anyway. I’m in a carriage headed to the… uh, Legacy… I’m headed to the Grand Templar’s place! It’s outside the city, north, in the mountains. Go there! Just do not enter Edinmire! Zen: What… did I imagine that? No, no! It was Natani! I felt it, just for a second! Zen: (thoughts) Natani’s okay! Oh, thank you! Gods, masks, whatever! Zen: (thoughts) Don’t worry, Nat. Your big bro will be there soon. I’m almost to Edinmire!